A charity specifically set up to help finance those individuals who would benefit from the use of dental implants. To improve the quality of life of individuals suffering with the effects of the loss of their lower teeth through assisting in financing and /or facilitating treatment with dental implants. The charity is based in the South East of Scotland and for practical reasons is at present limiting it's operations to this geographical area. Advice to those who have lost their lower teeth and having problems with a lower denture. The majority of patients who lose their lower teeth can usually manage to function with a full lower denture. By function we mean: eat, talk, smile, laugh and dentures can also appear very realistic which supports confident interaction when in the company of others. Younger people tend to adapt and manage better with dentures which is probably down to a combination of better muscle control and a better shaped jaw bone. However, following the loss of teeth the supporting bone will shrink over time and it is this process, active over many years, that causes most denture problems to be commoner in the older population. The ability to function can become progressively more difficult and in the worse cases interaction in company is avoided or the lower denture is just not worn. If you are experiencing problems with your dentures then a general dental practitioner (your dentist) should be able to give an opinion. Adjustment of your present denture or provision of a new one may be all that is required to give you adequate function. If however, it is their opinion that your dentures cannot be improved upon then you may be better served by receiving implant treatment. If your dentist does not offer this treatment then they should be able to refer you to a dental surgeon who does provide dental implant treatment. Is implant treatment a worthwhile option for you? To answer this question you will need to have a consultation with a dental surgeon experienced in providing implant treatment. The risks and the hoped for benefits, would need to be considered and discussed. Such consultations may be free of charge but usually will incur a fee, particularly if a written treatment plan, with costing is to be provided. Implant treatment promises to give a benefit for you but the costs are too high? If you consider this truly to be the case then you can request that a referral be made by your dentist or implant surgeon to the charity. N.B. The charity Dental Implant Aid will not accept self referrals from possible prospective beneficiaries/patients. Do you have a patient whom you consider would benefit from an Implant Retained Lower Full Denture (Implant Overdenture) but who is being prevented from progressing treatment purely because of the financial cost? Dental Implant Aid (DIA) may be able to help. The patient will be invited in to be examined by a GDC registered member of the charity team who will assess the individual for suitability. Apart from an oral examination, an assessment will be made of the Oral Health Quality of Life (OHIP Edentulous) and usually other background health checks sometimes including blood investigations. Following this, a decision will be reached as to the acceptance of the patient for charitable support or not. What form could the support take? At one end of the scale support could take the form of the supply of implants only. At the other end of the scale support could take the form of full or partial funding of implant treatment provided by the implantologist of their choice. Ideally treatment would be provided by a clinician in the patient’s geographical area but treatment in Edinburgh through DIA could also be an option. Decisions would be made on a case by case basis and would be influenced by availability of implants and funding. What about the long term care of the patient? Maintenance would normally be provided by the practice that placed the implants but DIA accept that financing this aspect of the care will remain an obligation of the charity up to a point. A figure of £500 would be set aside by the charity for every case treated to go towards long term maintenance costs. UK tax payers can enhance their giving by completing a gift aid declaration available also via email request. There may be other ways of supporting the charity for example if you are a provider of implant treatment and you have ‘close to date of expiry’ implants or components these could be sold or donated to DIA. Nick Malden leads a small group of trustees who oversee this newly created charity. 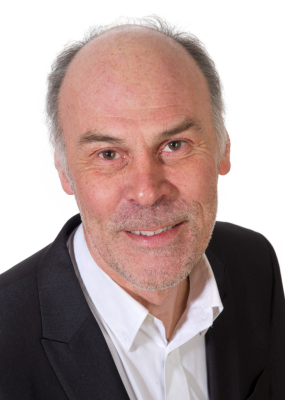 Nick has been involved with implant dentistry for over 30 years and as a part time Consultant in NHS Lothian he continues to be involved in the delivery of Oral Surgery and training within the specialty of Oral Surgery. send BACs payment of £10.50 to charity account.